In my search to learn more about Jewish holidays for my Old Testament Seminary class I came upon an add for the Shabbos Project. It was going to be celebrated just around the time that I was teaching, so I decided to incorporate it into my classroom. I learned a little about the project. It is the Jewish Sabbath celebration around the world where Jews commit to keeping the Sabbath for 24 hours. 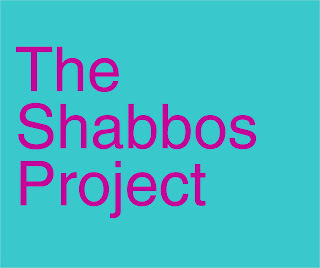 It was started by Chief Rabbi Warren Goldstein in South Africa in October 2013. I won't go into a lot of details but here is a link to explain the project. 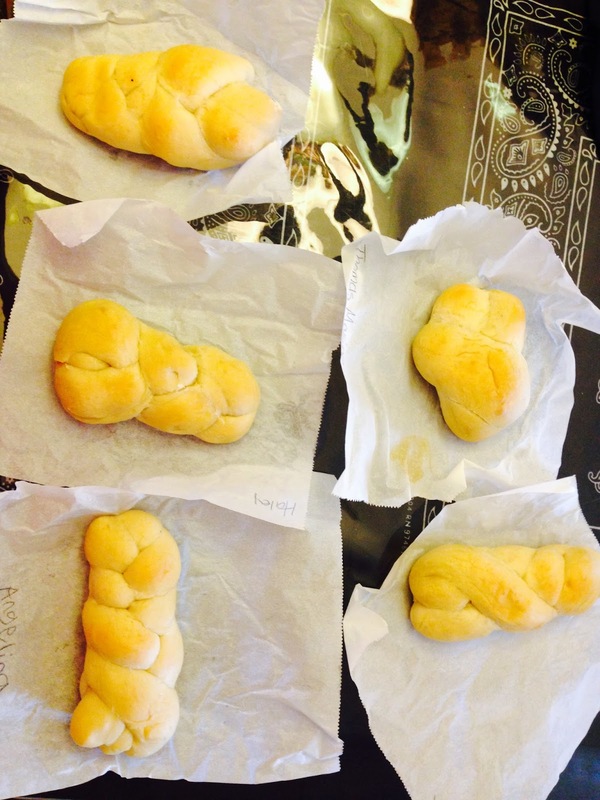 One of the traditions was making the Challah bread. I thought that this would be fun to do in my class. I did it the easy way. I used Rhodes rolls. Here is how we did it. 1. I gave each student a piece of parchment paper and had them write their name on it. 2. Then I gave each student 3 thawed Rhodes rolls. 3. I had them roll out each roll into a strand. 4. 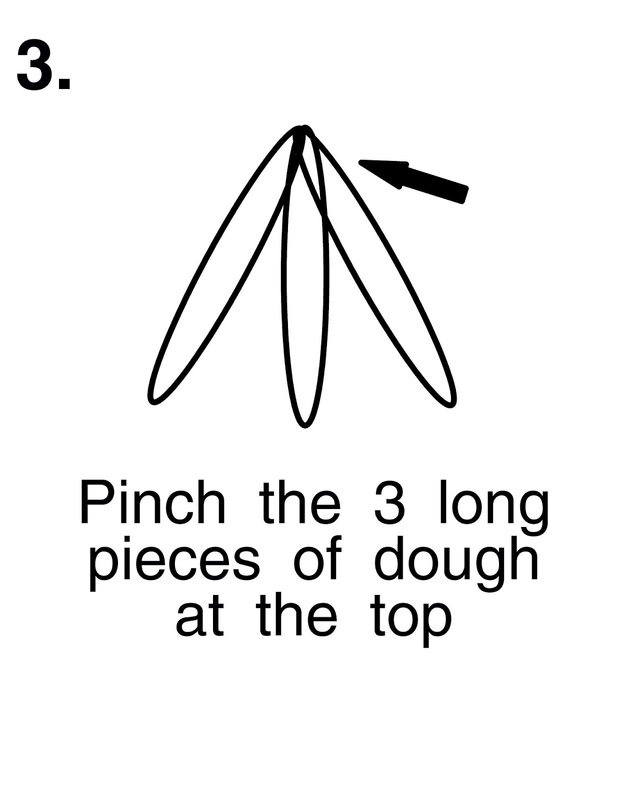 I showed them how to pinch the three strands together at the top. 5. 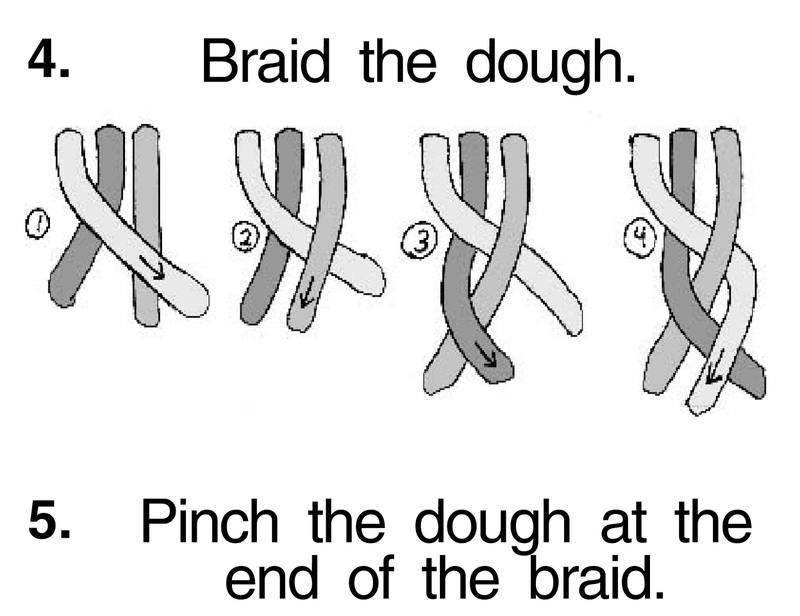 Then I explained how to braid the bread. It helps if you pull on the strands while you are braiding. 6. When done braiding, pinch the end of the loaf. Tuck the two ends under the loaf to make it look neat. 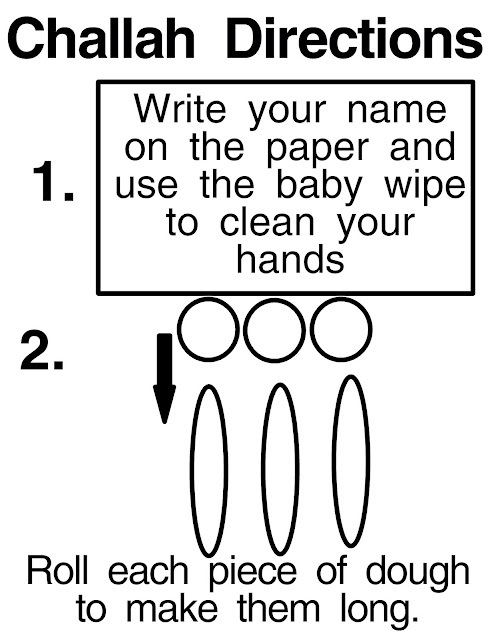 Here are the instructions that I put on the board. You can right click them and save them into your pictures, or copy and paste them into your printing program. 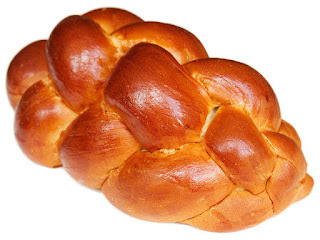 We don't have enough time in seminary to cook the bread so after the students braided their bread I took the challah home and put them in my fridge. I got up about an half hour before seminary and popped them in the oven at 350. They took about 20 minutes to cook. I let them cool while I got ready. 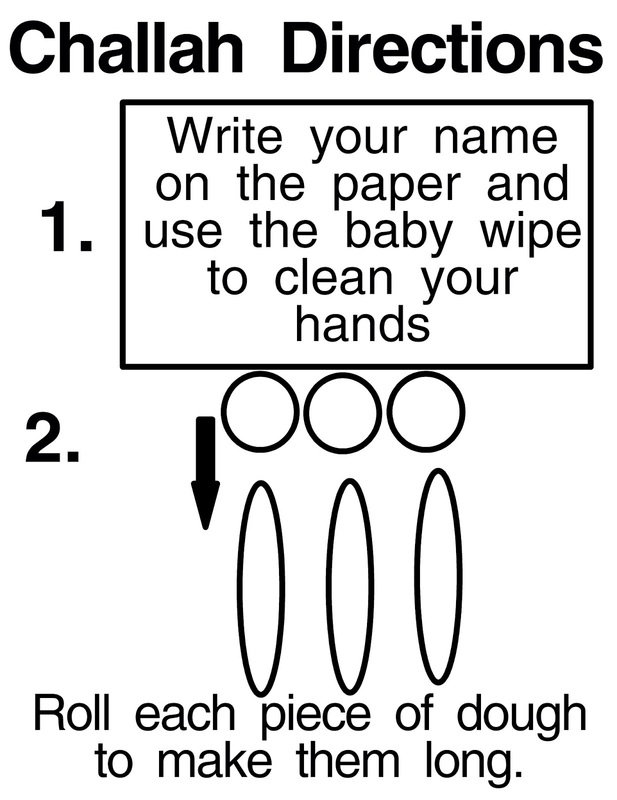 I kept the challah on each student's parchment the entire time so that each student could get their own. I served them with honey and butter. I also had some apple juice to drink. They were a hit. 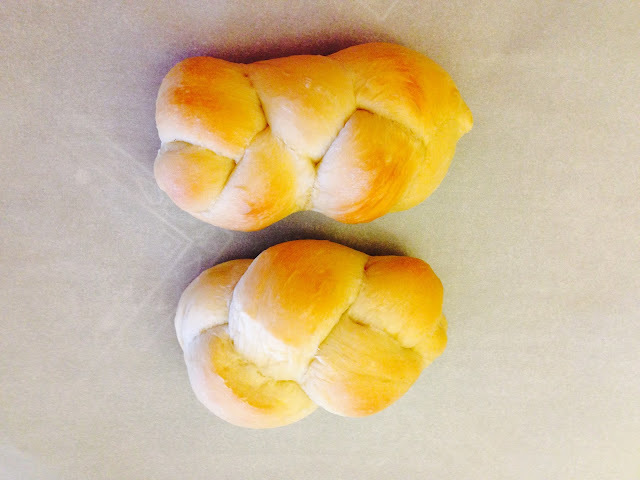 The reason for the braided bread is The Creation of the World, the Exodus from Egypt and the Messianic Era. It also shows sacrifice. 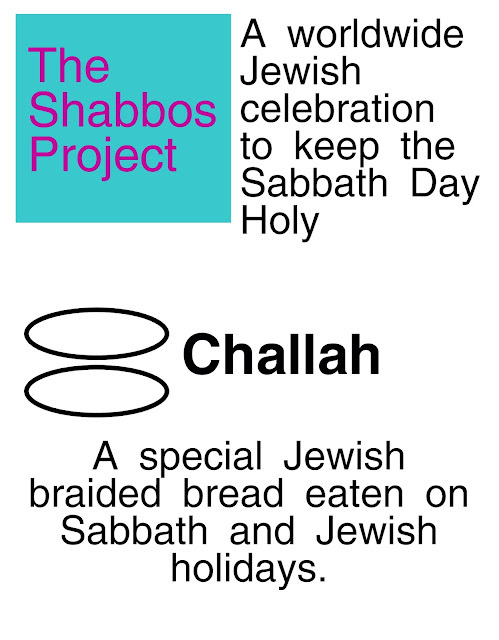 Some challah have 6 strands of dough braided through them. The two loaves together represent the twelve tribes of Israel. Here is a link to explain it more. The challah is placed on the table by itself. There should be two loaves signifying the double portion of manna that the children of Israel collected on the day before the Sabbath. It can also mean the two tablets from the ten commandments. A decorative cloth should be covering it. Some cultures think that it should not be cut with a knife because Abraham did not use the knife when he was going to sacrifice Isaac. I had the students write down one way that they were going to improve their Sabbath and put it in their pocket or somewhere that they would remember. On Monday we all talked about how their Sabbath turned out, and if it made a difference.